Stuart Campbell completed an MA in archaeology at University of Edinburgh (1984), followed by a PhD at the same university (1992) where he was a post-doctoral research fellow until 1995 when he was appointed to a position in Near Eastern archaeology in Manchester. Stuart's field research has, since 1983, taken place in a number of locations along the northern borders of Iraq and Syria and in south east Turkey. In Iraq this involved participation in the Eski Mosul Dam salvage project on the Tigris at the Halaf site of Kharabeh Shattani (published in 1986 and 1995 with Trevor Watkins and Douglas Baird) and the 4th to 2nd millennium site of Gir Matbakh. Later, during 3 years of almost permanent work in Iraq, he directed the rescue excavations at the ceramic neolithic site of Ginnig and the late 6th millennium site of Khirbet Garsour and was involved with the prehistoric sections of the major North Jazira survey project. From1993 he was the ceramicist and, for four seasons, field director of the University of Edinburgh excavations at Jerablus Tahtani in the Tishreen dam area on the Euphrates in Syria, close to the ancient city of Carchemish, working particularly on the Early Bronze material. 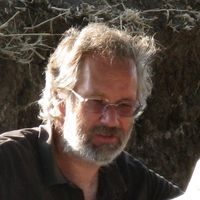 In 1995 he started a joint University of Manchester/University of California Los Angeles excavation at the 20ha 7th and 6th millennium site of Domuztepe in south-east Turkey (co-director Elizabeth Carter until 2005) with the intention of examining developing social complexity, for the first time in this period at a site of this size. In total, 13 excavation seasons and 2 study seasons were completed at the site. After 2008, the project was joint with the British Museum and is it is now in a phase of post-excavation and publication. In 2013, Stuart began a new phase of fieldwork with a return to southern Iraq, co-directing the Ur Region Archaeology Project with Jane Moon and Robert Killick. This project, one of the very few working in the south of Iraq, is investigating a rural site dating to c.1500 BC. The Spinning of Ur. How Sir Leonard Woolley, James R. Ogden and the British Museum interpreted and represented the past to generate funding for the excavation of Ur in the 1920's and 1930's.